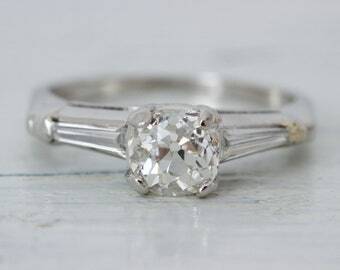 This antique engagement ring is cast in 18k white gold and features a gorgeous 0.75 carat European cut diamond set in a classic square shaped solitaire mounting. 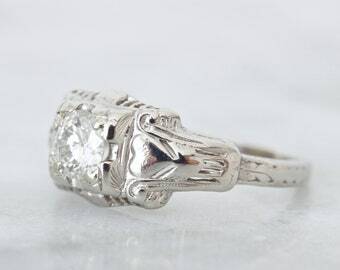 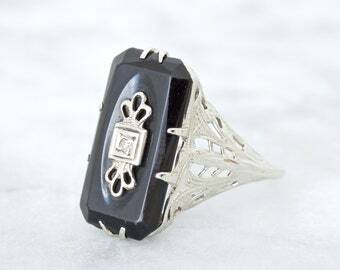 Open and airy filigree metalwork throughout the gallery and shoulders make this ring a truly romantic piece of Art Deco jewelry. 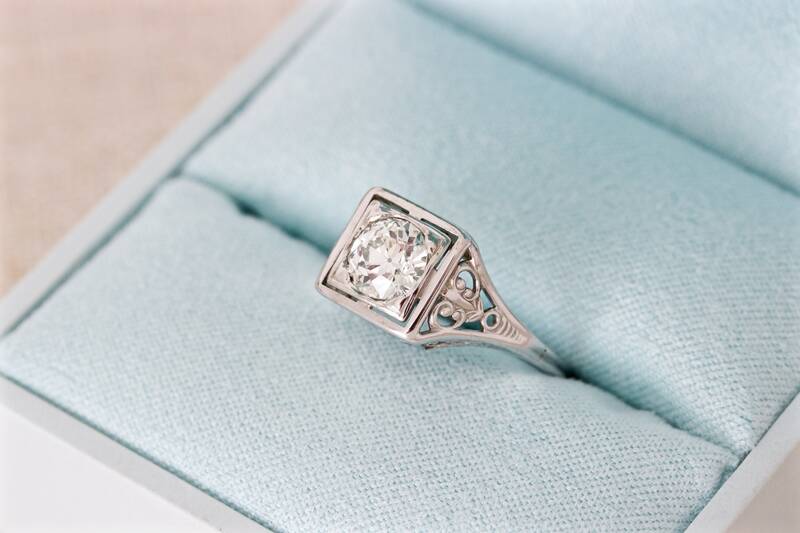 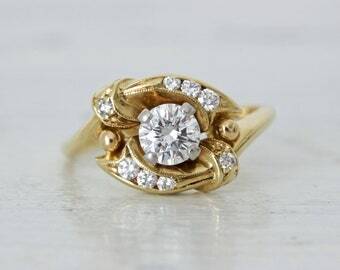 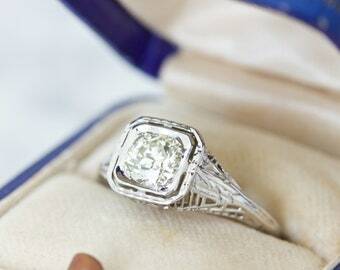 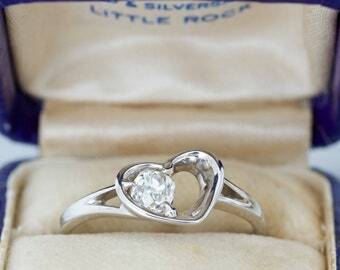 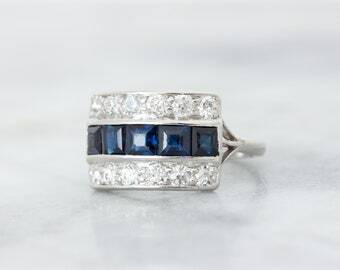 This ring is a lovely choice for a romantic engagement ring with a timeless design sure to please. 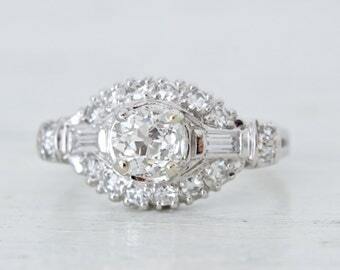 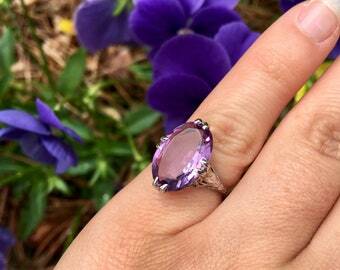 RING SIZE: Approximately US 6.5 / AU M 1/2 and sizable at least 1-2 sizes by a skilled jeweler.